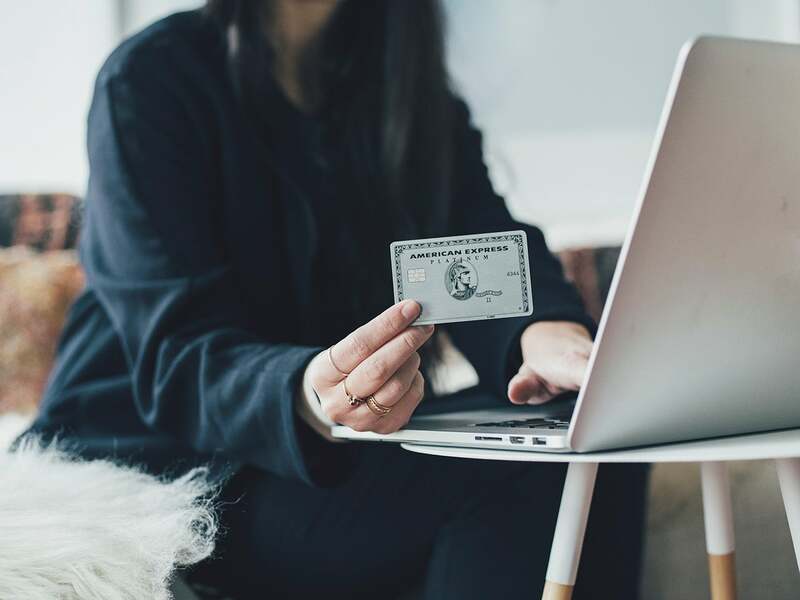 The Platinum Card® from American Express and the Business Platinum® Card from American Express have been on the radar of many frequent flyers looking to add a new card (or cards) to their wallet. With the preferred earning and benefits on both cards, it’s logical to question which is the best for you. Or, if you already have one of the cards in your wallet, you may be wondering if you should splurge on the $595 (See Rates & Fees) or $550 annual fee (See Rates & Fees) and get the other. Well, it could work out in your favor if you make room for both of the cards in your wallet. The benefits of the personal and Business Platinum cards complement each other, making them a great combination when it comes to getting the most out of your premier credit cards. Read on to find out why this combo can help you maximize your travel, spending and redeeming. The personal Amex Platinum is currently offering a welcome bonus of 60,000 points. Both cards come with pretty substantial welcome bonuses. First, the Business Platinum Card will net you up to a 75,000-point welcome offer — 50,000 points after you spend $10,000 and 25,000 points after you spend an additional $10,000 on purchases within the first three months. Next, the personal Amex Platinum will earn you 60,000 points after you spend $5,000 in the first three months, though you may be targeted for a higher offer via the CardMatch Tool. If you apply for both of the Platinum Cards and meet the required minimum spend, you’ll get a total of 135,000 Membership Rewards points. Based on TPG’s most recent valuations, that’s worth about $2,565 — more than both annual fees combined, for two years! One of the easiest perks to take advantage of with the Platinum cards is the airline credit. Each card has a $200 airline fee credit, and while it isn’t as generous as the $300 travel credit you’ll get with the Chase Sapphire Reserve card (which can be applied to any travel purchase), the credit with the Amex Platinum Cards is still very useful. To use it, log in to your Amex account and select your preferred airline to use the credit with. What’s even more enticing is the combination of these two fee credits and applying for the cards at the right time to maximize them. The fee credit is valid for each calendar year, so if you were to apply for both cards at the end of the year, you’ll earn up to $400 in fee credits ($200 from each card), and in the new year, you’ll be eligible to redeem the other $400 in airline fee credits. The Platinum Card also added up to $200 in Uber credits to its list of card benefits in 2017. You’ll receive $15 in Uber credits for US rides each month, plus a bonus $20 in December. Plus, you’ll get Uber VIP status as a personal Platinum cardholder. Earn a 35% rebate when you redeem points from the Business Platinum for paid airfare. One of the best perks of the Business Platinum Card is its 35% points back when you use the Pay with Points option when redeeming points for paid airfare. In fact, the perk can be so useful that it’s completely changed the way TPG books business travel for the whole team. With the Pay with Points perk, your Membership Rewards points are effectively worth 1.54 cents apiece, as you’ll get 35% of your points back on all first and business-class tickets and on all tickets (even economy) with your designated airline. Perhaps one of the biggest benefits of having both the personal and business versions of the card is that you’re effectively earning 7.7% back on every airfare purchase you put on your personal Platinum Card. If you earn 5x points on airfare booked directly through the airline and then redeem those points at a value of 1.54 cents apiece with Pay with Points, you’re getting a return of 7.7% — that’s hard to beat! Even if you don’t redeem your points that way, you could still get a 7.7% return, as TPG values Amex Membership Rewards points at 1.9 cents apiece in his latest valuations. As a new benefit added on March 30, 2017, you can now also earn 5x on prepaid hotels booked on amextravel.com. Authorized users on the personal Platinum card get Centurion lounge access, among other benefits. For $175, you can add up to three authorized users to your personal Amex Platinum account (See Rates & Fees) — effectively at a cost of just $58 per person. Authorized users get access to many of the perks that make the Platinum Card one of the premier credit cards out there, such as lounge access (Centurion, Priority Pass and Delta Sky Club when flying Delta), hotel elite status (Gold with Hilton and SPG, and therefore Marriott), a fee credit for Global Entry and access to Amex Fine Hotels & Resorts. By adding up to three authorized users, you’re giving your additional cardholders the chance to take advantage of some truly valuable perks. Both the personal and business cards are charge cards, so there’s no predetermined credit limit, meaning you have more freedom when it comes to making larger purchases. In addition, the Business Platinum earns you 50% more points on purchases of $5,000 or more for up to 1 million additional Membership Rewards points every year. Say, for example, you’re making a $11,500 purchase that wouldn’t be eligible for a bonus with another card. In total, you’d earn 17,250 Membership Rewards points in return — worth about $328 based on TPG’s most recent valuations. If you were to use another card without a category bonus for what you’re buying, you’d earn 11,500 Membership Rewards points — worth about $219. Effectively, you’d be getting more than $100 extra in value by using the Business Platinum. Using the Amex Platinum Card and its business version in conjunction can get you maximum value on both your rewards-earning and redemptions, in addition to some great cardholder perks. Each are great cards on their own, but having both in your wallet can get you even more Membership Rewards points, and it can help you stretch those points further when it comes time to use them toward travel.